I can be a little slow. Admittedly, my focus has been divided a trifle, the past two weeks. 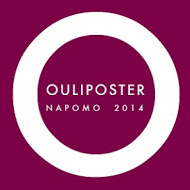 There are many, many talented poets writing in the Oulipo Challenge, official and un-! Please wander over to their site on the Found Poetry Review and check a few out each day. For the unofficials, check the links in my comments, each day. There have been so many wonderfully creative poems. ‘Refer to the advertising section or the classifieds in your source newspaper. Create a poem by replacing all of the nouns in your chosen ad segment or classified listing with nouns from one article in the same newspaper. You may use multiple ads/classifieds, presented in the order of your choosing.’ Today’s prompt was a challenge until I saw Mildred’s response. Then, I knew what I wanted to do or, at least, had a direction. Although I am back in Atlanta, my paper, the Wall Street Journal, lacks a few things, like classifieds, so I headed for the San Francisco Chronicle online to find what I needed: Horoscopes + Classifieds, a marriage made in, well… I ended up with something other than I started. I had a column of phrases from the classifieds and a column of nouns from the horoscope. I tried matching them to tell a story, but when I noticed a shape, I added a constraint: The lines had to lead up to and away from the longest line. That’s when I ended up with something I like better than the first something.